Nature’s Rx is voluntarily recalling quantity lots of Silver Bullet 10x, description of dosage form to the hospital, retail or consumer level. This recall has been initiated because the product was found to contain undeclared sildenafil and tadalafil, the active ingredient in Viagra and Cialis respectively, which are PDE-5 inhibitors. The undeclared PDE-5 inhibitors in the product may pose serious health risks because consumers with underlying medical issues may take the products without knowing that they can cause serious harm or interact in dangerous ways with other drugs they may be taking. For example, PDE-5 inhibitors may interact with nitrates found in some prescription drugs (such as nitroglycerin) and thus can lower blood pressure to dangerous levels. Consumers with diabetes, high blood pressure, or heart disease often take nitrates. Nature’s Rx has not received any reports of adverse events related to this recall. The product, Silver Bullet 10x, is used as a male enhancement nutritional supplement and is packaged in mylar package containing 10 capsules with an expiry date: 11/2020. Silver Bullet 10x was sold on eBay and website. Nature’s Rx is notifying its customers by replacement or refund and is arranging for return or replacement of all recalled products. 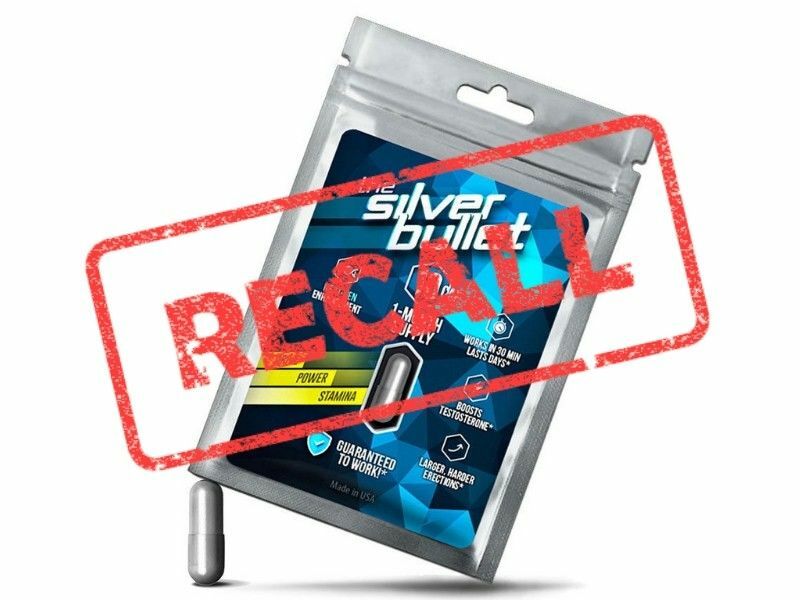 Consumers that have Silver Bullet 10x which is being recalled should stop using and return ship or discard the product. Consumers with questions regarding this recall can contact Nature’s Rx by phone number or e-mail address 5 days of the week from 10 AM to 6 PM PST. Consumers should contact their physician or healthcare provider if they have experienced any problems that may be related to taking or using this drug product.